So this was “big news” – all over the Internet a few months ago. The story was picked up by news outlets worldwide. And it was a good story: A 12 year old 4-H kid, in Texas who raised this huge, 23 pound chicken. It made me curious – the stories claimed it might be the world’s largest chicken. I wondered who held the record? What breed of chickens were these? What’s the story behind this? And when I began to dig into it a little more, it got even more interesting…at least for us chicken people. It turns out, Dakota’s 23.47 pound chicken (named “Big Mac”) did not break the record. The record was considered to be held by “Big Boy”, weighing in at 24.18 pounds, raised by Sue and Don Ritter. It was mentioned they raised him as pastured poultry, on grass. If you’re raising a hybrid meat bird, bred to gain weight quickly, they generally don’t do well free ranging. This is a great way to keep them safe and get them the fresh “pasture” to eat. Now all of this stuff I find really interesting but it’ll take too long to go into it all here so we’ll have to save that for another blog post! This is something being used by farmers and backyard people because it makes a lot of sense. But let’s move on to the record holding chicken, shall we? Sue and Don raise chickens for meat and eggs and have a thriving business. One unique aspect is they raise chickens for Thanksgiving instead of turkeys. They decided they liked the taste better (I’m in agreement here) so every year they raise some birds to a dressed weight (meaning what they weigh when you buy them) of 10 to 18 pounds, enough for the holiday dinner. Customers claim this is the sweetest, best tasting chicken they’re ever had. Now this is not something your Perdues and Tysons can do. They’ve got a strict schedule in the factory: the birds reach a certain age, they should be within a weight range. They’re butchered. Done! Next batch, coming in! It’s an assembly line process because that’s the only way they can keep their profit margin high. And we’re talking thousands and thousands of birds at a time. The Ritters weren’t trying to break any record. They noticed Big Boy was 18 or 19 pounds and they decided to see how large he’d get. The thing is with broiler type chickens, they generally are known for a lot of health issues. They gain so much weight, so fast they tend to have leg problems; they love to eat and can even die from overeating. People usually butcher them at 6-8 weeks of age when they’ll weigh out at about 5-7 pounds. These breeds aren’t meant to live long. But obviously the Ritters are doing something right – and different. Their pasture has been free of pesticides and fertilizers for over 35 years. Their feed is certified organic with no animal by-products and the chickens have constant access to the earth, bugs and sunshine. No antibiotics are needed. Don is adamant that grass is the building block for food. Because of all of these factors, Big Boy lived until 18 months old and died when it got a bit too cold in Pennsylvania and the grass stopped growing. Despite documenting Big Boy with photos and videos, he was sadly not accepted by the Guinness Book of World Records. They no longer keep records for livestock weight. But the Ritters have started their 2016 season. And what about 12 year old Dakota and his chicken? Dakota’s Dad said he was probably giving up chickens, due to the early morning feeding. And they planned to use “Big Mac” in gumbo. Hand in hand with our previous article about armchair gardening we put together a handy list of hatcheries for those looking to start raising themselves some fine feathered friends. Believe it or not, hatcheries routinely ship chicks across the country via USPS — you just have to be willing to order a minimum number required by the hatchery. Now is a great time to start raising baby chicks provided you have a warm, draft-free environment. We’ve made sure to include the name, address, phone number, URL, and any thoughts we have about the assorted hatcheries listed below. Fairly old and well-established hatchery that is smack dab in the middle of the country. They frequently have sales and have a good reputation. They also have a wide selection of bird types including many rarer ones. A nice, friendly little hatchery that loves to help you select the very best for where you are. They state that they are an old-fashioned business that answers phone calls and they’re right! Email is manned by real people who actually know about chickens. Very helpful and friendly. Quality is great. Carries: chickens, ducks, geese, turkeys, bantams, guineas, pheasants, partridges. This is pretty much the standard, go to hatchery on the East Coast and Midwest. That being said, they’re good and they will ship small numbers of chickens during the warm season. They have great customer service by phone, never emailed. Carries started pullets, meat – everything, including “special packages” – a specialty order that contains several types of poultry geared towards a specific purpose, such as the Frying Pan special or the Top Hat. Phone, fax and email orders (no online orders). There is an extra charge if you order more than one breed to meet the minimum requirement. They maintain their own breeding flocks. Box 507 – 4703, E. Cleveland Blvd. Established in 1918, they have a store as well and do phone orders, MO and checks. Started in 1948 with one small Sears-Roebuck incubator. Family-run business. Only accepts checks and money orders. Orders must be mailed in. Established 1944. Free shipping, rare breeds, meat birds, bantams. Minimum order $25.00. Accepts Paypal. Claim to be the largest supplier of backyard poultry in the United States, shipping close to 5 million chicks annually. Offers surplus chick bargains and make your own mix. Started in 1946. They hatch out year-round. They sell their own hybrid cross chickens. 150+ varieties. Payment information must be phoned in. 300+ breeds of chickens, bantams, ducks, geese, turkeys, guineas, peafowl, pheasants, ornamentals, chukars, swans and quail. In business 93 years. Orders are placed online and then you call in your payment information. “We are doing this as a hobby business service and we work as fast and efficiently as the time allows. If you are impatient and absolutely have to have something by a certain date, please do us and yourself a favor and order from somewhere else.” Linda and Glenn run this as a labor of love. Smaller selection but they do all of their own breeding. Started in 1929. Broilers are specialty. Accepts money orders. No additional shipping charges. Do you have a favorite hatchery or have a comment about one listed here? Tell us about it in a comment below! Folks, we’ve got something good for you today. A golden opportunity to make a little extra income doing not much more than what you’re already doing. Gabrielle spoke with Homestead Jenn of RentTheChicken.com last week and there was some great information exchanged there, as well as some links Homestead Jenn gave us for all of you activist types. Marek’s disease is a highly contagious and frightening phenomenon, characterized by paralysis of the legs, wings, and neck, vision impairment, weight loss, and raised and roughened skin around feather follicles. This herpes virus infection shows up in various manifestations: neurological, visceral, and cutaneous. It is also highly fatal and if your chickens get the disease, there is no cure. What can one do to protect their flock against Marek’s Disease? Vaccinating your chicks against Marek’s Disease is a good place to start. 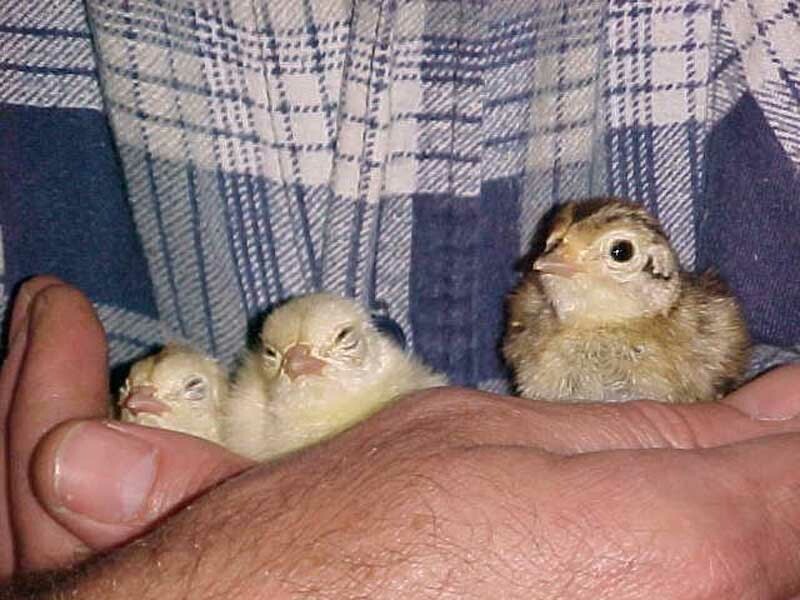 While it is common practice to vaccinate all newly hatched chicks in large factory farms, it is not always done in small flocks. Vaccination is an excellent way to prevent the adverse effect of diseases, but even greater is careful sanitation and effective flock management. Small backyard farmers may not vaccinate because they have never had a problem with disease in their flock. That is entirely possible and this is the case with many backyard chickens. Or perhaps they are not aware disease is present, don’t know how to diagnose a disease or get the disease diagnosed, don’t know where to buy vaccines, or don’t know how to give a vaccine. Introducing new birds into your flock greatly increases the risk that your birds will be introduced to a new disease as well. If you buy birds from an outside source, it’s a wise idea to vaccinate. If you take your birds to poultry shows or have had problems with disease in the past, it’s a great idea to get your chicks vaccinated. While it is entirely up to you whether or not to vaccinate your birds, it can save you a whole lot of heartache and hassle later on. Chicks are generally vaccinated against Marek’s Disease on the day they hatch. This is done at the hatchery and is given subcutaneously at the back of the chick’s neck. If you order chicks from a hatchery, they should already be vaccinated for Marek’s Disease. Be sure to ask just in case! Chicks between the age of 2-16 weeks are quite susceptible to Marek’s Disease, so if your chicks hatched at home or you purchased them from a supplier that did not vaccinate before delivery, consider vaccinating yourself. The vaccine can be purchased online from livestock supply companies such as Jeffers Livestock. Here is a link for Marek’s Disease vaccine for day old chicks: read more here. Since it must be administered to day old-chicks, order before your chicks hatch. Your local farm supply store may also have the vaccine. No one buys chickens imagining images of sick birds, death, and heartache. Yet this is a real risk involved in owning animals of any type. If you’re ever owned a pet, you know firsthand how traumatic it can be when your beloved friend becomes seriously ill and/ or passes away. Yet, don’t let the fear of sickness and losing birds keep you from keeping your own flock of chickens. Prepare yourself that things might happen and that a chicken death will happen eventually (even if it is just old age). Also, educate yourself about common chicken health problems and how you can avoid or alleviate these issues. There’s a good chance you’ll never run into chicken health problems of any kind. It’s still a great idea to be prepared. Here are a few common problems to get you started. Sometimes, in humans, a baby grows too large to easily and naturally fit through the birth canal. Before the advent of modern medicine, this was often a fatal complication. A similar conundrum sometimes occurs in chickens. Sometimes, an egg becomes too large to fit through the chicken’s vent. 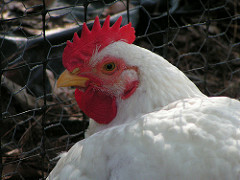 A chicken who is egg bound will often be lethargic. She may be straining and doesn’t feel that great. If the bound egg is not removed, she will die. 48 hours is as long as you have. It’s time to act. Fortunately, it’s not hard to help your hen out of this painful situation. Wearing a glove, lubricate your finger and gently insert it into the chicken’s vent, gently squeezing or massaging the hen’s abdomen with the other hand to help ease the egg out of the bird with slow and steady pressure. Be very careful not to damage your chicken’s insides! If at all possible, avoid breaking the egg. Egg material left inside your chicken can cause infection and/ or death. If you have any questions or cannot help the egg dislodge, call your vet or an experienced chicken-raising friend. Sometimes, such as if a hen has laid an unusually large egg for example, the lower part of a hen’s oviduct turns inside out. It protrudes visibly through the chicken’s vent. A prolapsed vent is quite serious and likely to recur, but it is also quite treatable if treated immediately. Should the prolapsed vent be left out, it is possible that the chicken’s oviduct and/or intestines will be pulled out or that it will become cut and infected. The chicken will die. Sorry for the graphic nature, but it is true. Exposed wounds simply ask for trouble; your other chickens will peck at her. Should you notice a protruding area of pink or red behind your chicken’s vent, manually push it back inside and apply hemorrhoid cream. Carefully watch for a reoccurrence and handle the issue immediately. Just like people, chickens can suffer from a wide range of respiratory infections. Severe respiratory infections can be fatal if not treated (others clear up on their own). Infectious bronchitis, fowl pox, avian influenza, infectious coryza, and swollen head syndrome are just a few of many examples. This is a great source of information about chicken respiratory infections and diseases: read more here. The Poultry Guide also offers an excellent guide about common chicken diseases: Poultry Guide. In order for them to live up to their full potential, your backyard chickens must eat a nutritious, well-balanced diet. Layers need the right kind and amount of feed to lay quality eggs. Broilers need the right kind and amount of feed to gain weight in a healthy way. This is slightly more complicated than merely picking up a bag of feed at your local farm supply store. Chickens can benefit greatly from foraging as well as from some table scraps. Other table scraps are toxic to chickens and if your birds are given these common items with their daily meal, it’ll ruin your day. How can you know just what to feed your flock? 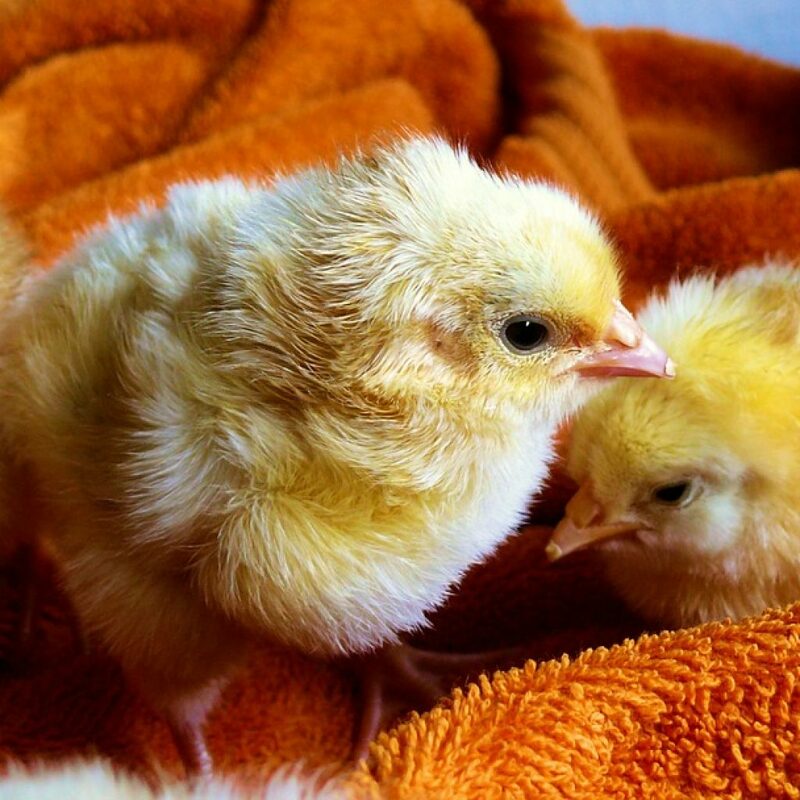 Chick starter feed, with a protein level of 20 to 22%, is required for chicks from hatching until they are 6 weeks old. After that, pullet grower feed is the way to go. This has 14-16% protein and you feed this to your layers until they are about 20 weeks old. After 20 weeks and for the duration of your chicken’s life, feed them layer feed. Grains like corn or barley can be substituted for part of your layer feed. How much should you feed your birds? Resist the urge to feed too much. While some backyard farmers prefer to leave out a constant supply of food, this is really not the healthiest choice for your birds. Feed several times a day and not in between. This will also reduce the risk of attracting pests like rats and mice. Young chicks will eat about 2 to 2.9 lbs of chick starter feed for their first six weeks. For the entire pullet phase, your growing chicks will eat a total of 12-13 lbs of feed. Layers then consume 1.8 to 2.4 lbs of feed each week for the remainder of their lives. Like people, there will naturally be periods when your birds want to eat a bit more or a bit less. Broilers are different. From hatching to six weeks, a growing broiler can be expected to consumer 30-50 lbs of broiler starter feed. Then, from six weeks until slaughter, they’ll consume another 16-20 lbs of broiler finish feed. Talk to knowledgeable staff at your local farm supply store to find just the right feed for your flock and for advice on feeding should you have any questions. Table scraps alone are not a well balanced diet for your chickens, but they can be a wonderful treat if fed in moderation. Many sources suggest waiting until your birds are 3-4 months old before you begin feeding them table scraps because before that they desperately need the high protein levels found in chicken feed in order to grow and develop properly. Most vegetables, both cooked or raw, are perfectly safe to feed your chickens and offer some great nutritional value too. Bread, grains, oatmeal, cooked meats, and most fruits are safe too. Chickens love table scraps! Don’t throw your flock every single kitchen scrap you have, though. Raw potato skins are toxic to chickens. Avocado skins and pits can be fatal too, as can chocolate. Garlic and onions won’t hurt your birds but can seriously affect the taste of your eggs. As a rule avoid giving your chickens processed foods, greasy foods, spoiled or rotten foods, or raw meat. Got it? One great benefit that free-range chickens reap is the ability to forage for plants, insects, and worms. This means added nutrients. Birds allowed to forage are believed to produce healthier, better quality eggs and meat. Still, these birds require a healthy diet of chicken feed and can also benefit from scraps. Foraging will probably have more benefits for your backyard than for your chickens, but it is still highly beneficial.